CMS offers one of the most highly regarded educational programs in San Diego. Our continuing commitment to the academic, emotional, spiritual and social growth of each child in true Montessori spirit remains our top priority. Parents, the CMS Board and staff form a partnership to support the growth and development of your children. The CMS community, characterized by positive and respectful communication, a commitment to parent education, and parent volunteerism is critical to the success and longevity of our school. 2017-2018 will be the 29th year of the school, a milestone few schools, let alone small businesses achieve. There will be a slight increase in the tuition for 2017-2018. Re-enrollment for current families will open on Wednesday, March 1st and will be through your Parent Portal on Renweb. This is also an opportunity to update information held by the school. Once your re-enrollment application is received we will calculate your deposit – one month tuition plus $400 annual registration fee. If you pay tuition by ACH, Sheila Walker will email you and let you know how much will be deducted from your bank account to pay the deposit. If you pay tuition by check, Sheila will email you with the amount of the check that is required to complete your re-enrollment. 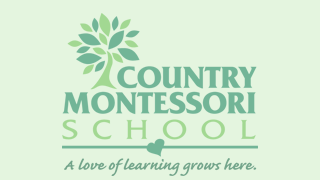 Please email Sheila sheilaw@countrymontessori.org if you are not re-enrolling. 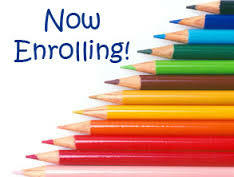 Summer camp enrollment will also open on Wednesday, March 1st. Deposits for re-enrollment and summer camp payments are NON-REFUNDABLE. Application for admission will be opened to siblings of current students and families on our wait list on Monday, March 20th. Thank you for your continued support and partnership that enable CMS to provide a sanctuary for your children, an environment that is child-focused, challenging and supportive, and a Montessori program guided by a long serving and loving faculty dedicated to your children.